Oomph! are partnering with Places for People Living+, a leading specialist supported housing provider in the UK, to train staff, volunteers and customers. This is part of the Sport England subsidised programme, which aims to get 27,000 over 55s from inactive to active within the next two years. 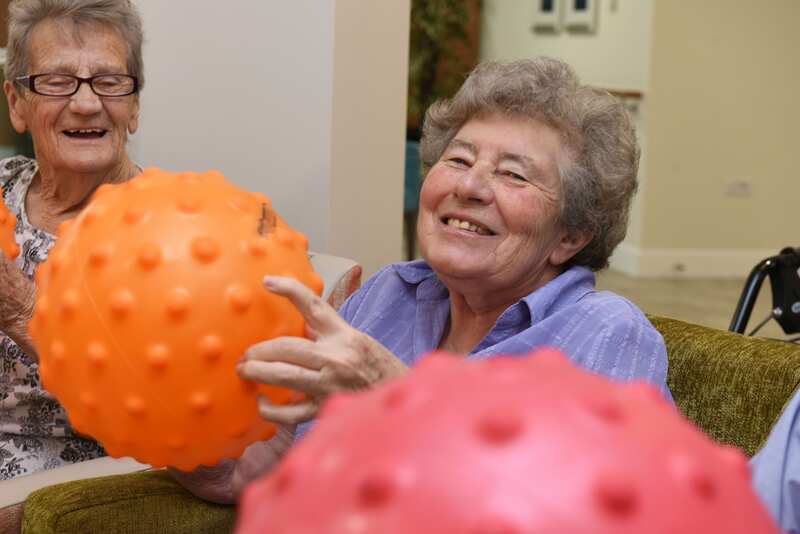 The pioneering partnership enables 12 Living+ venues across the North West and South East to deliver fun, regular exercise sessions for customers, whilst also engaging the wider community. The fun-first training incorporates strength, flexibility and coordination, with games such as Armchair Volleyball and Clock Cricket – all adapted from traditional versions of the sports to make them accessible for people with a variety of needs and abilities, whilst retaining gameplay and fun! Suzanne Porter, Living+ Services Manager for Later Life said “We are excited to be partnering with Oomph! as part of this initiative to help get more of our older customers active. We have thoroughly enjoyed the training so far and look forward to getting out into more of our communities to deliver a range of fun activities which improve the health and wellbeing of the people we support”. Glenis Griffin, Living+ Housing and Wellbeing Advisor and instructor, said “Oomph! has already made such a difference to our customers, improving their mobility and fitness whilst having a great time. It makes my job so worthwhile when I hear our customers laugh and see the results the activities are having”. Loneliness… Not just on Valentine’s Day! On a day when love is celebrated across the world, it seems apt to examine the other side of the coin: loneliness. The appointment of Tracey Crouch as the Minister for Loneliness highlights its increasing public profile. And rightly so, as illustrated by the now much used statistic that loneliness is as bad for your health as smoking 15 cigarettes a day, it’s not just the depth of the problem that’s staggering – it’s also the scale. Although not a problem exclusive to those in later life, a recent English Longtitudinal ageing study found that 1.2m people over 65 in the UK are persistently or chronically lonely. Much has been done across the public and VCS sector, with excellent initiatives, such as the Campaign to End Loneliness and the Jo Cox Foundation, grappling with the complexities of the loneliness. Thanks to their work, it has become clear that there is no silver bullet to fix the problem. Instead, it requires collaboration on a national, local and individual level, with many organisations bringing potential solutions to the table. Although loneliness is often associated with people living in their own homes, it is also rife in settings where a person may be surrounded by other older people. This is illustrated in Care Homes, covered by an excellent blog written by Tim Owen. Furthermore, going into sheltered housing does not ‘guard against’ loneliness (as might be expected by family members) – studies have shown little differences in the levels of loneliness across settings. So, how can we combat loneliness? Concentrate on the positives. 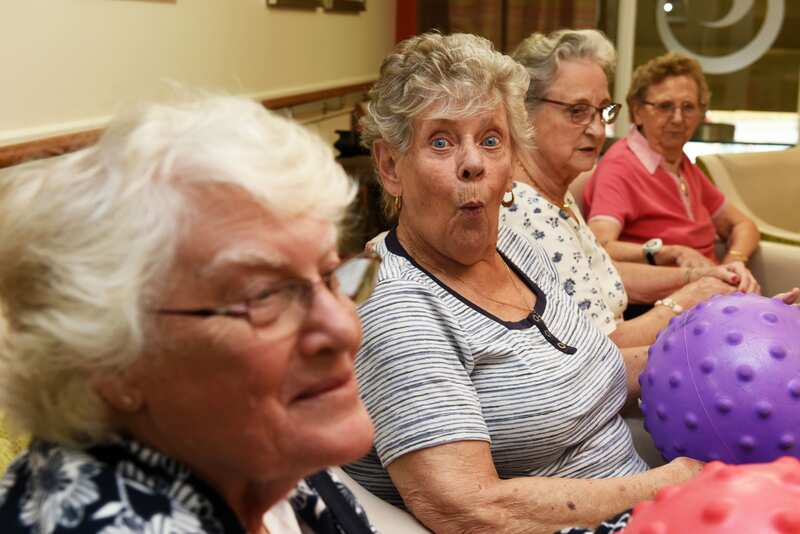 Older adults need to enjoy themselves, to do what they like doing – this could be attending a drawing class in a care home, a game of seated volleyball in their communal sheltered lounge, or going on a trip to the beach. This means bringing activity to an audience that doesn’t always know what’s possible, in environments they are used to, led by people they trust – improving likelihood of engagement. Provide opportunities for meaningful volunteering. Contribution plays a part in improving self-esteem and provides valuable opportunities for social engagement. This means focusing on what people can achieve, not focusing on their problem now. Give older people a net with which to fish, rather than just providing the fish. From doing these two things, Oomph! have seen some positive results so far – EQ-5D improvements have been encouraging (13% increase compared to ELSA comparisons), but through the rigorous academic study of our community work, we hope to tease out more on the mental and social impact. One exercise session a week may not may not solve the loneliness issue – no single solution will. But ensuring there are enjoyable and easily accessible opportunities for social engagement will certainly improve the lives of many older people. We’re committed to positive ageing and to end loneliness. That would bring joy to our hearts on Valentines Day!